Tony Simons has worked 27 years on issues at the tropical agriculture/forestry interface – in the private sector (Shell Forestry), academia (University of Oxford), official development assistance (ODA/DFID) and research (CGIAR). He holds degrees from Massey University and Cambridge University and an Honorary Professorship in Tropical Forestry at the University of Copenhagen. He has published over 100 research papers. He is passionate about the transformative and profitable change that the private sector can bring to development. 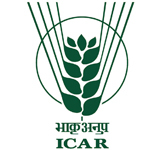 Dr S. Ayyappan is the Director General of the Indian Council of Agricultural Research (ICAR), since January 2010. He has also been serving as the Secretary of the Department of Agriculture Research and Education (DARE). In his distinguished career of over 30 years, he has headed two ICAR institutions namely CIFA and CIFE, before becoming the Deputy Director General of Fisheries in ICAR in 2002. 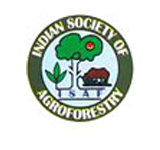 He is a well-known scientist and has contributed immensely to the development of fisheries and aquaculture in India. 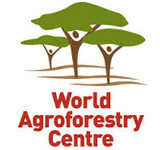 Dr Ravi Prabhu joined the World Agroforestry Centre (ICRAF) in January 2012 as Deputy Director General (Research). He is responsible in overseeing the entire research programme, he is also a member of the Centre’s Senior Leadership Team. He was previously a Senior Programme Officer, Forests and Climate Change with the UNEP in Nairobi. He led the UNEP team that contributed to the UN-REDD Programme mainly by supporting countries to realize multiple benefits from REDD+, and to use REDD+ as a catalyst to transform to a green economy. Michael Hailu, an Ethiopian national, is Director of the Technical Centre for Agricultural and Rural Cooperation (CTA) based in the Netherlands. Mr. Hailu has over 25 years of experience promoting the role of agriculture in ensuring food security, sustainable natural resources management and poverty reduction. He held senior leadership positions in international organizations in Africa and Asia. He graduated from the University of Pittsburgh and has been trained in strategic leadership at the Stanford University Graduate School of Business.